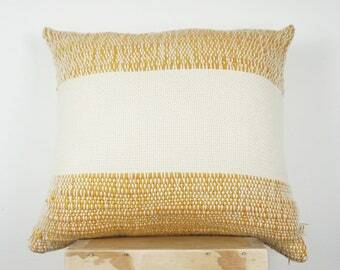 Mudcloth scatter woven cushion cover is a multi functional decorative trendy option for your home. 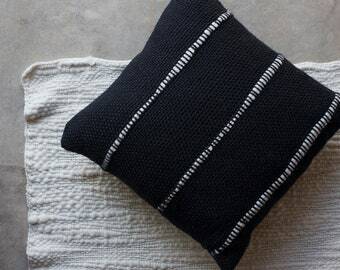 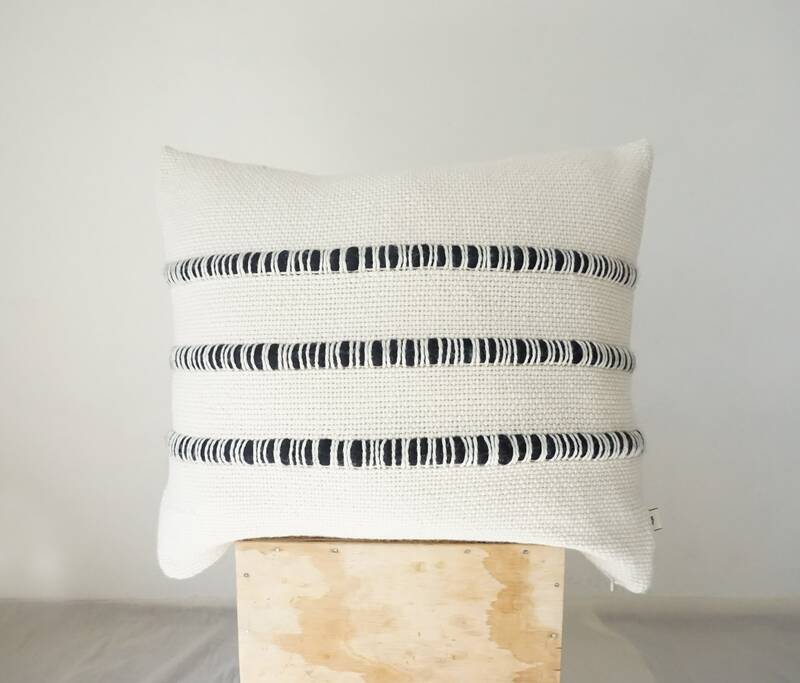 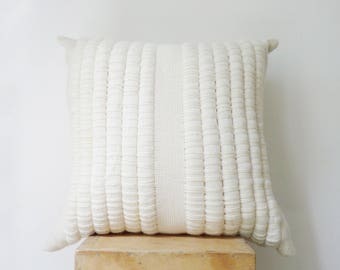 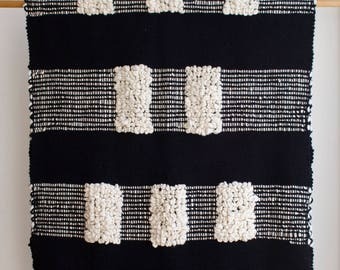 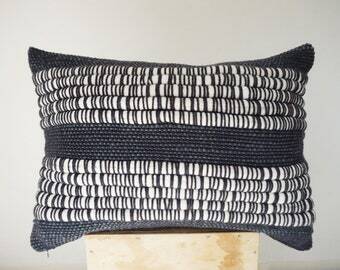 The minimalist 3D Moroccan style inspiration of the chunky knit organic pillow case is made with merino wool with striped roving merino wool fibers hand dyed in black . 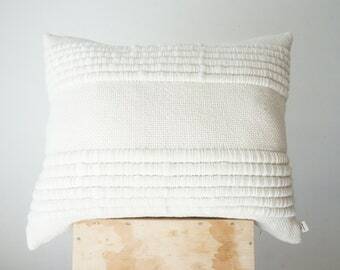 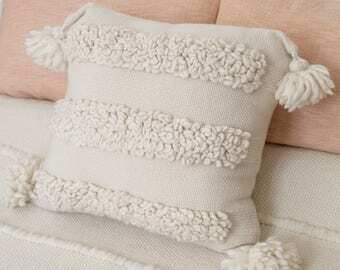 The back of the pillow case is made from plain woven merino wool of natural color and have a zipper to close. 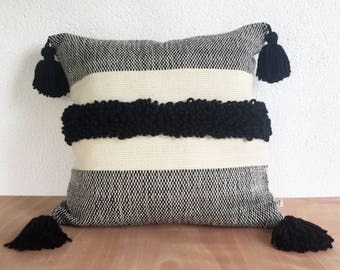 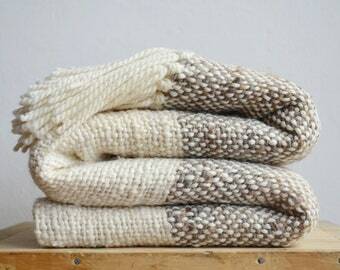 Cream (natural color wool) and black.